Ace Peel Hardware & Supply is a hardware and supply store that carries everything needed for a home and farm. Located near Brampton and Caledon, Ace Peel Hardware & Supply offers a diverse range of products, including: animal feed, hardware, propane, pet supplies, garden supplies, fertilizer, grass seed, salt, and much more. Hardware products offered include: plumbing supplies, building supplies, electrical supplies, power tools, and more. 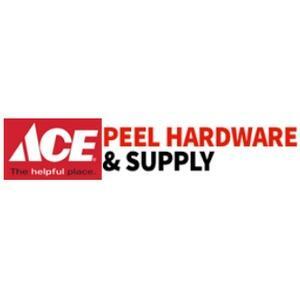 Products Carried: Ace Peel Hardware & Supply is a Brampton and Caledon hardware and supplies retailer offering a wide variety of products for the home and farm. Ace Peel Hardware & Supply prides itself on providing each customer with exceptional service along with quality products that include: Pet Food and Supplies, Hardware Products, Electrical Supplies, Plumbing Supplies, Builder Supplies, and more.